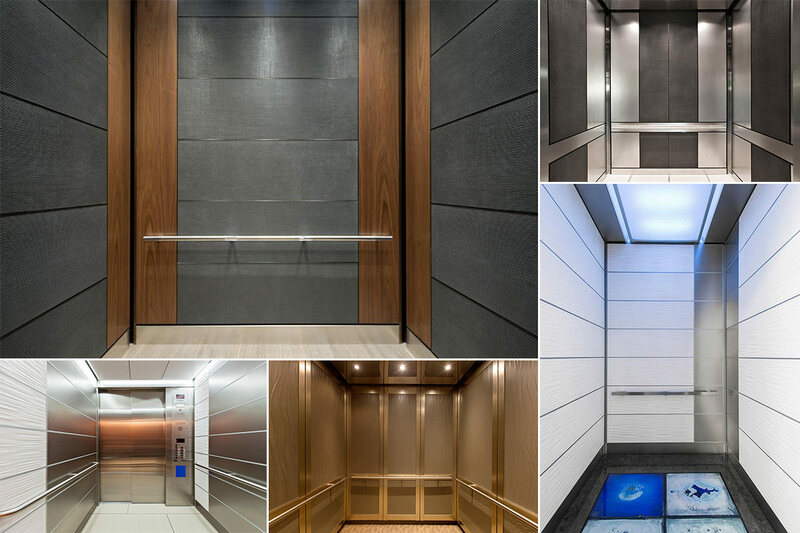 Forms+Surfaces elevator interiors blend the convenience of standardized systems with impressive design flexibility. 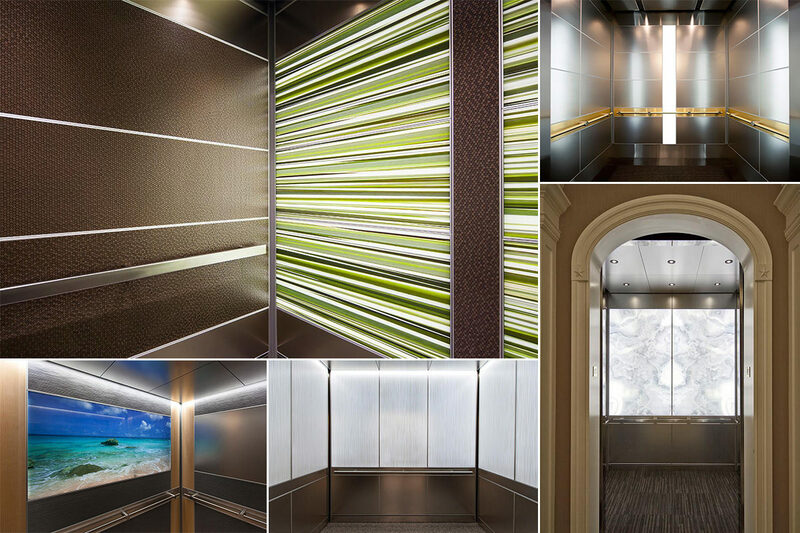 Developed with the needs of today’s buildings in mind, F+S elevator interiors are smartly engineered to invite creativity, meet diverse field conditions, and satisfy real-world budgets and timelines – without sacrificing ease of specification, installation, maintenance or breadth of material choices. 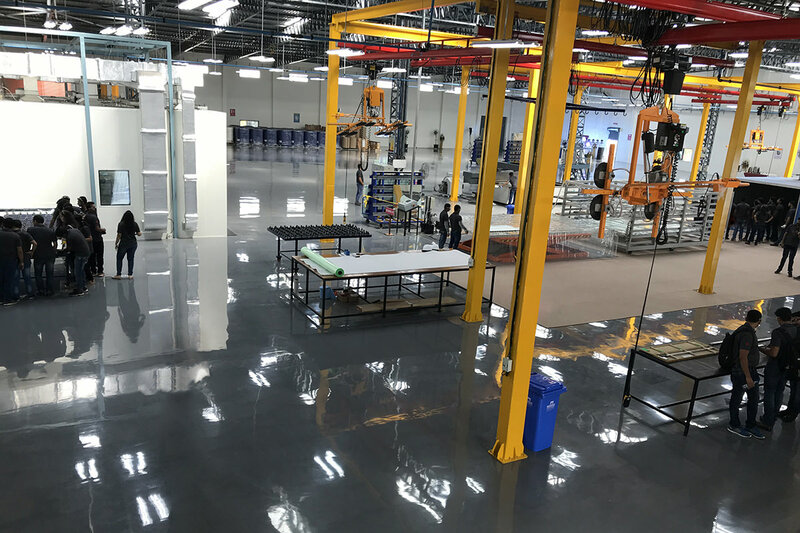 Smarter still, sophisticated F+S manufacturing facilities in the U.S. and Pune, India, make it easy for us to serve our global customers. What does this mean for you? The best of all worlds: exceptional creative control; precisely engineered products; efficient lead times and delivery; local agility and support; and beautiful, high-quality end results. The program consists of 10 highly configurable elevator interior designs. Each is defined by a unique wall panel layout that serves as the framework for the materials used within. Each can be tailored to project-specific needs. And each represents a complete system that includes everything needed for quick, cost-efficient installation. Wall panels, bases, and trim are standard; handrail panels and/or ceilings with or without lighting are optional. Beyond system efficiencies, the beauty of the program lies in the vast material choices available through the F+S Surfaces palette. Unparalleled in its reach, the F+S Surfaces palette gives you the freedom to create distinctive, highly personalized elevator interiors. 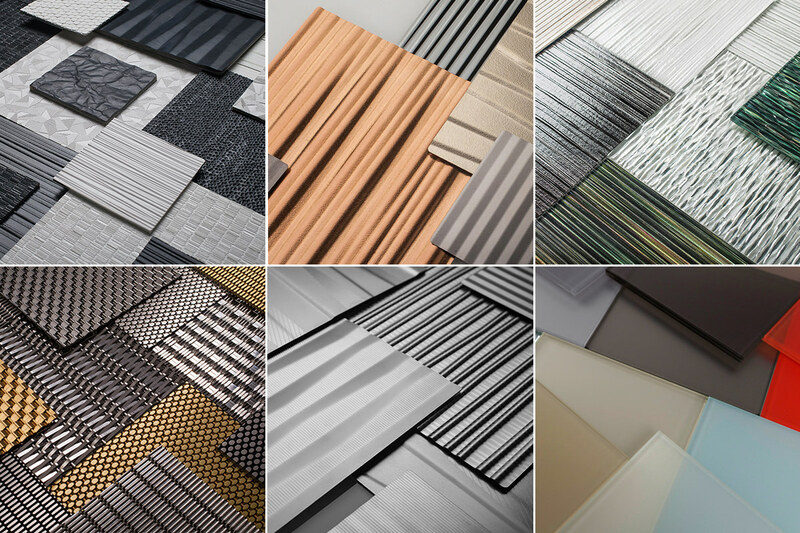 More than 1,000 material, finish and pattern combinations make it easy to achieve exactly the look you want while meeting a wide range of aesthetic, performance and budgetary requirements. 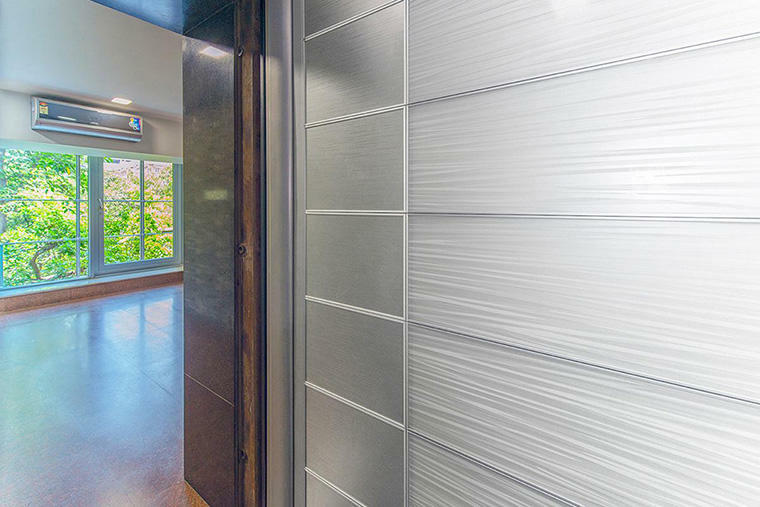 From architectural glass to architectural metal to cast composites and more, the possibilities are virtually endless. For example, VividGlass, our line of laminated glass, gives you a remarkable range of choices: ViviChrome brings solid color to life; ViviGraphix adds graphic elements; ViviSpectra invites you to customize photos and original artwork using our Zoom Digital Darkroom and VEKTR Digital Canvas design tools; ViviStrata features precise etched designs; ViviTela captures the rich look of woven metal; and ViviStone brings the beauty of real stone to glass. In addition, BermanGlass Levels blends sculptural kiln cast glass textures with laminated colors and graphics. 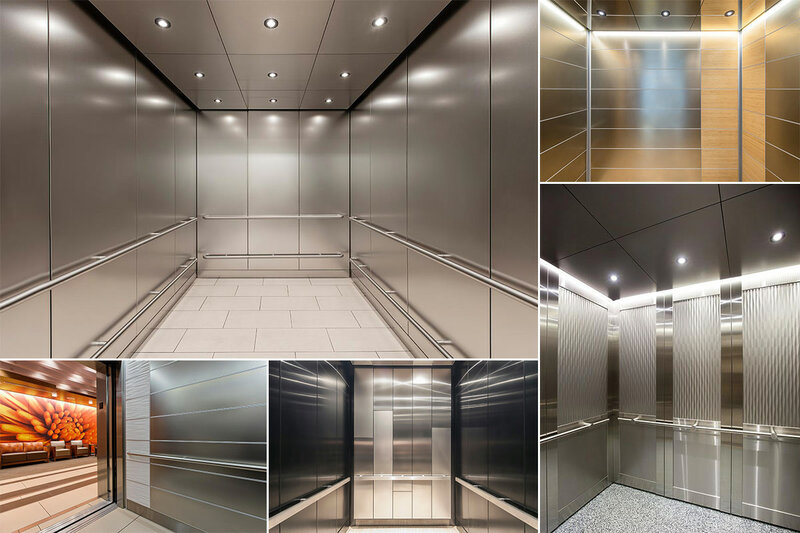 If illumination is your goal, our LightPlane Panels are a standard option for our LEVELe Elevator Interiors. 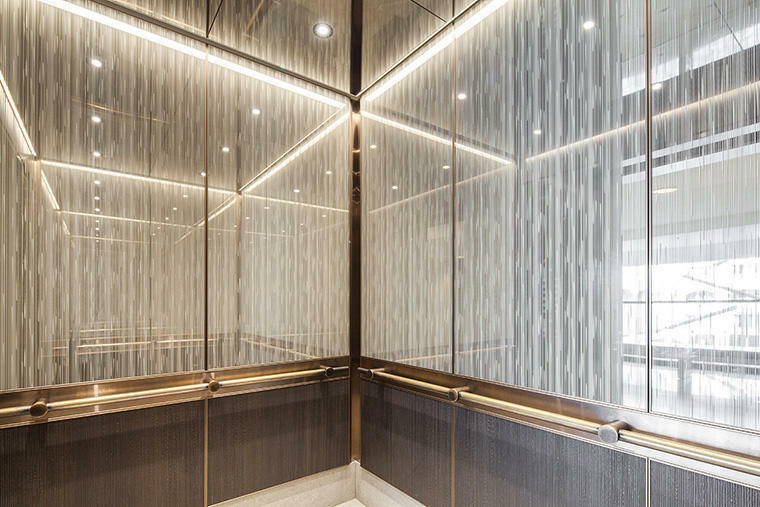 These precisely engineered, edge-lit LED panels incorporate VividGlass or BermanGlass Levels Kiln Cast Glass and allow you to seamlessly illuminate elevator interiors and more. If metal is more your style, opt for Stainless Steel or Fused Metal. 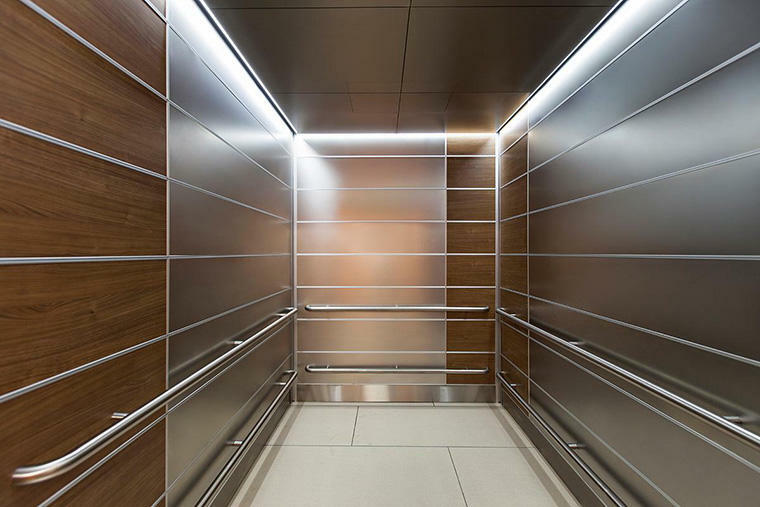 Stainless Steel’s clean aesthetics and proven endurance are ideal for high-traffic elevator interiors. Fused Metal, our line of colored stainless steel, fuses titanium alloys at the molecular level to stainless steel substrates. It offers the durability of stainless in a rich range of colors. High-durability finishes and a wide range of patterns add to each materials’ design and performance options. F+S cast composites further expand the possibilities. Bonded Metal is the result of a unique technology that casts metal granules in a tough, FRP matrix. The lightweight, extremely durable castings have beautifully detailed patterned surfaces and the character and appearance of solid metal. Field-proven for more than 50 years, Bonded Metal offers visual richness and exceptional resistance to wear. Bonded Quartz incorporates ceramic microspheres in a fiber-reinforced polymer matrix, a combination that yields durable, lightweight castings with a stunning surface appearance and that are easy to clean. Bonded Quartz is standard in White and Charcoal; custom colors are optional. The upside of so many material choices is incredible design flexibility. The Elevator Design Studio makes it even easier to bring them all together. 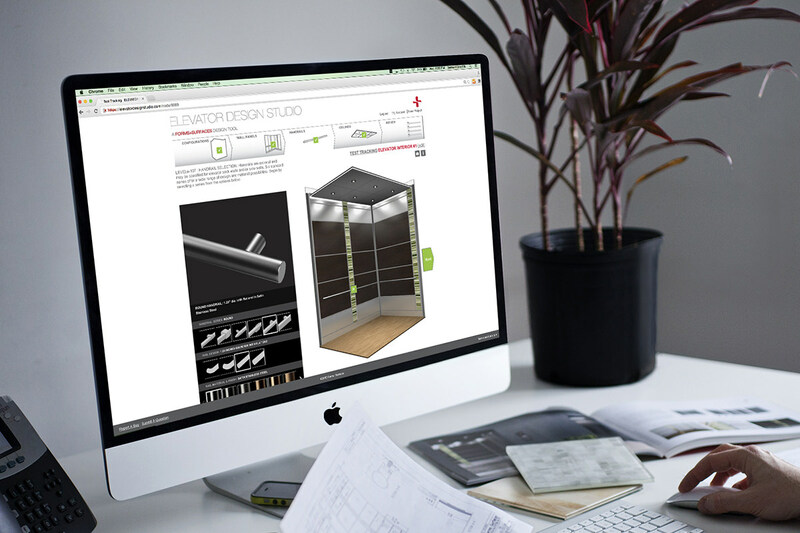 The Elevator Design Studio (EDS) puts creative control at your fingertips. 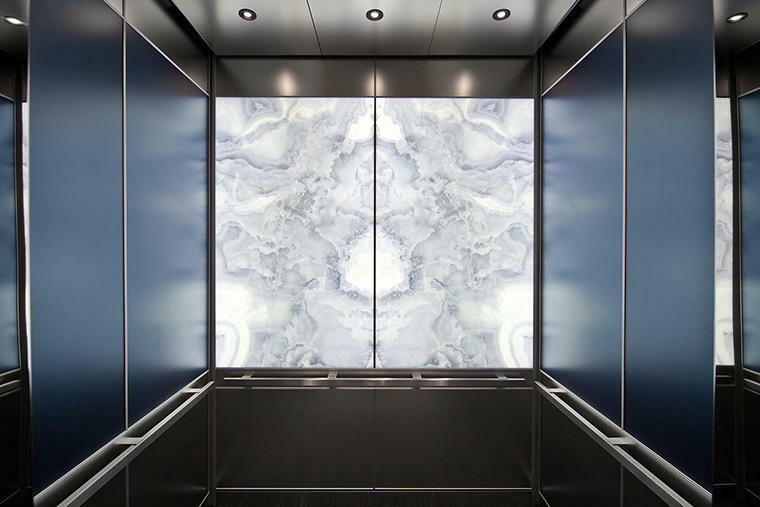 Housed on the F+S website, this visually oriented design tool builds on the versatility of our Elevator Interiors program and allows you to quickly bridge the gap between creative vision and installed reality. 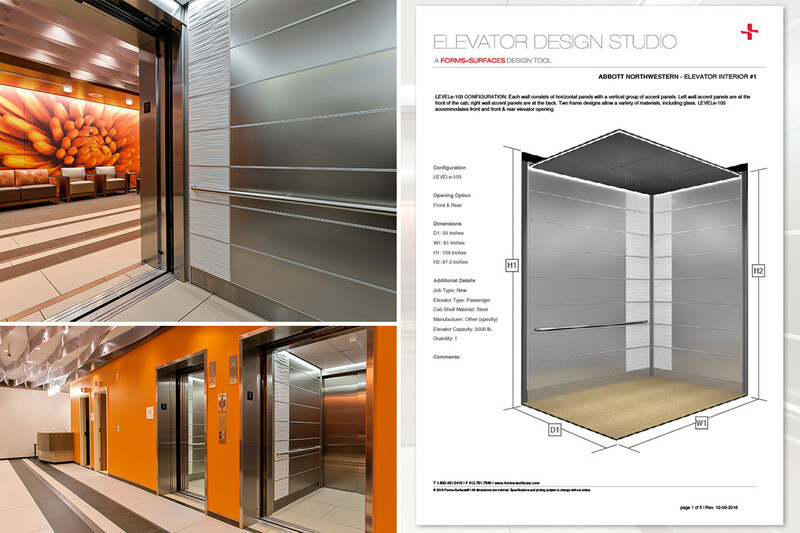 The intuitive, step-by-step EDS format lets you choose an elevator interior configuration, apply materials and finishes from the F+S Surfaces library, explore ideas, view your progress in professional-quality renderings, manage projects, request budget pricing, and literally design an elevator interior in a matter of minutes. If your needs go beyond what you can achieve using the EDS? No problem. We’re here to explore the possibilities with you, and happy to evaluate custom layouts and designs on a project-by-project basis. 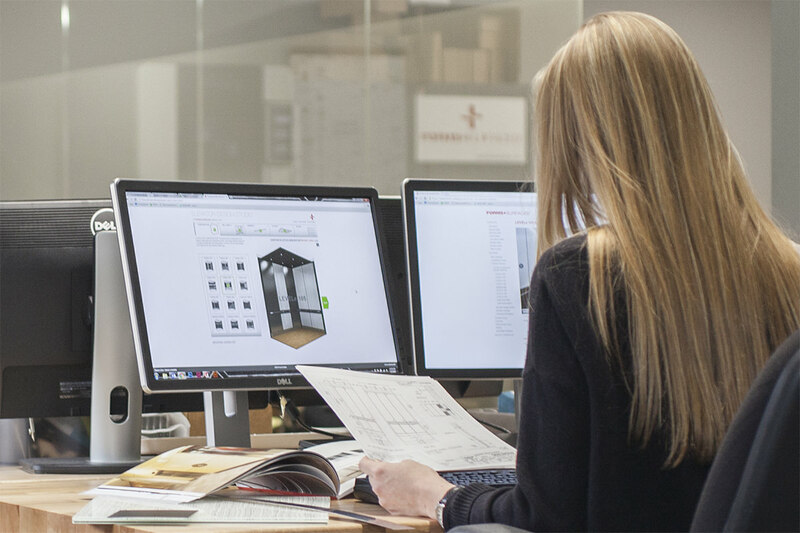 With our decades of materials and manufacturing expertise and a vast portfolio of successfully completed projects around the world, our goal is to help you turn your creative vision into installed reality. Versatile. Durable. Smartly designed and engineered. Forms+Surfaces’ comprehensive Elevator Interior Systems give you endless ways to bring your ideas to life – wherever in the world you are. Ready to take your designs to exciting new levels? 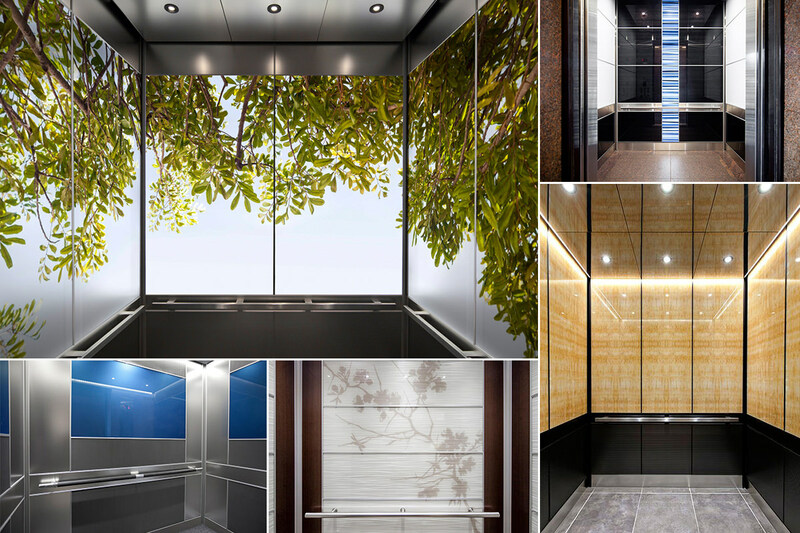 Step into our Elevator Interiors program now.